Sikh community are accommodated for their celebrations of Guru Nanak's 550th Birthday celebration. At the opening ceremony of the Spring Tree Plantation event 2019, Imran Khan expressed his desire to make Pakistan an all-inclusive nation that belongs to each citizen equally, regardless of religious and class background. He also said that he will do everything in his power to make sure that the Sikh community are accommodated for their celebrations of Guru Nanak’s 550th Birthday celebration. He also claimed that complete information would be provided to the Sikh Yatris concerning the Kartarpur Corridor issue. The much-anticipated opening of the corridor for the Parkash Gurpurab in 2019 was agreed last year between Pakistan and India. It is a pathway that will allow worshippers to travel between Dera Baba Nanak in Gurdaspur, Indian Punjab to Darbar Sahib, Kartarpur in Pakistan with ease and without Visas. Both of these are important pilgrim destinations, as the Gurdwara in India is a shrine to the founder of the Sikh religion, whereas the Gurdwara in Pakistan marks the final resting place of Shiri Guru Nanak Dev himself. Kartarpur Sahib in Pakistan is situated across the river Ravi, approximately four kilometres from the Dera Baba Nanak shrine. It was allegedly founded by the Sikh Guru in 1522. The first ever Gurdwara, Gurdwara Kartarpur Sahib, was built at the site, where the legendary saint Baba Buddha Ji settled for some time as well. It is said to be where Guru Nanak Dev also died. 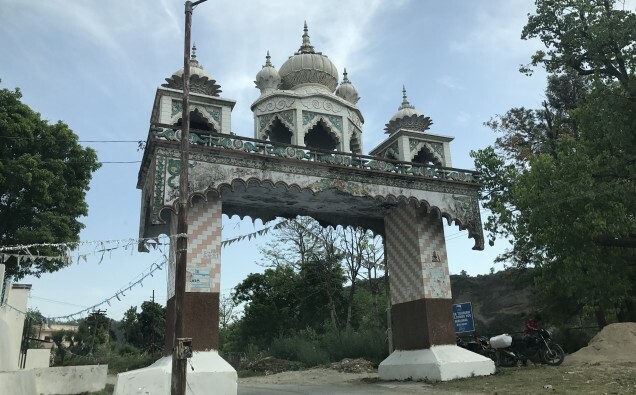 Meanwhile, although the Kartarpur Corridor has been a joint collaboration between Narendera Modi’s Indian government and the Pakistani government of Imran Khan, the former has come under fire from Mehbooba Mufti. The ex- Jammu and Kashmir Chief Minister has criticised Modhi via public Twitter, stating his party’s priority seems to be re-naming Indian cities with Hindi names and re-building Ram Temple in Ayodhya. “How times change. Centre’s top priority is seemingly renaming historic cities & building Ram Mandir. On the other hand, heartening to see that Pak PM has initiated steps to name Baloki forest reserve after Guru Nanak Ji & create a university under his name”, he tweeted.